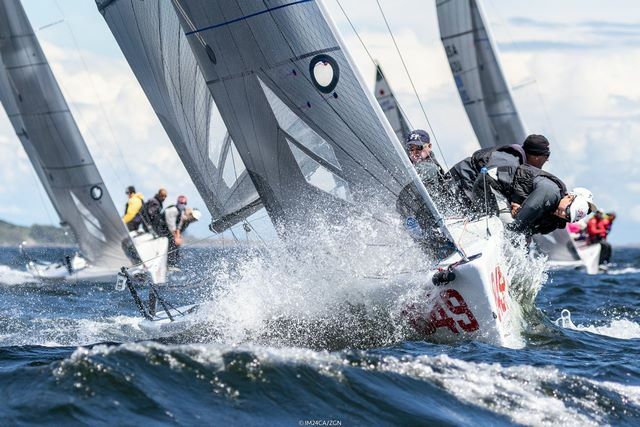 Pressure Drop - Breeze On For Melges 24 World Finale! 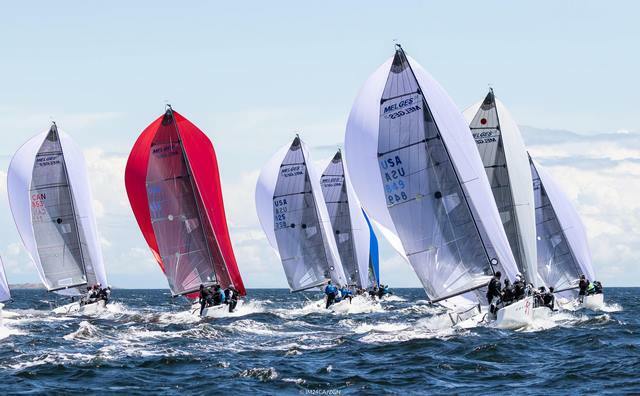 Breeze On For Melges 24 World Finale! 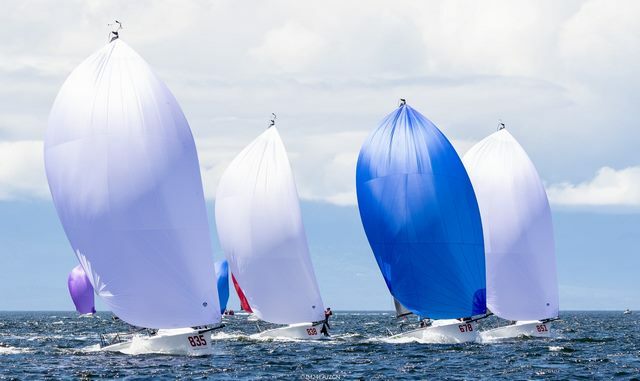 June 9, 2018 - Victoria, BC, Canada - On the final day of the 2018 Melges 24 World Championship the international Melges 24 fleet of forty one teams from five nations finally received what they were expecting from Victoria - 15-20 knots wind, blazing sunshine, blue skies and great speed to put on the show while surfing the waves in Victoria Waterfront. 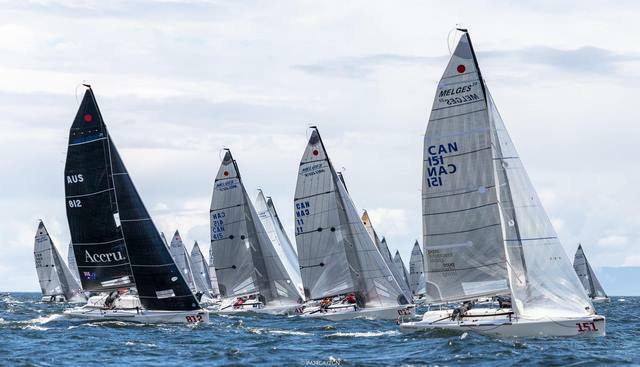 A final day of racing yielded three more races to conclude the 10-race series at the Melges 24 World Championship 2018, hosted by the Royal Victoria Yacht Club in co-operation with the Canadian Forces Sailing Association and Victoria International Marina as a hosting venue. The forecast predicted wind, plenty of it, and it was delivered - 12 knots wind in the first race of the day was building up to 15 knots for the second, and was filling in up to 20 knots breeze delivering wonderful champagne conditions - exactly the conditions what the Melges 24 has been built for and the fleet enjoyed three great races. 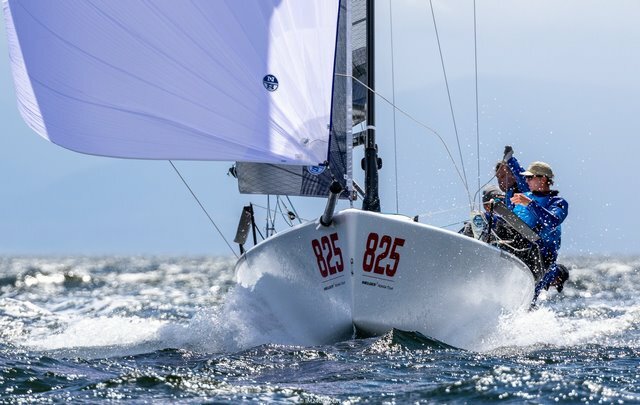 The ultimate stalwarts of the Melges 24 - Andrea Racchelli's Altea ITA722 from Italy and his crew of Filippo Togni, Gaudenzio Bomni, Matteo Ramian, Michele Gregoratto - have claimed their first and well deserved Melges 24 Worlds' title. Silver in the overall was Alan Field's WTF USA829 from the United States, and winning Bronze was Bruce Ayres' Monsoon USA851 also from the United States. Nothing was confirmed in the leaderboard when entering to the last day of racing. 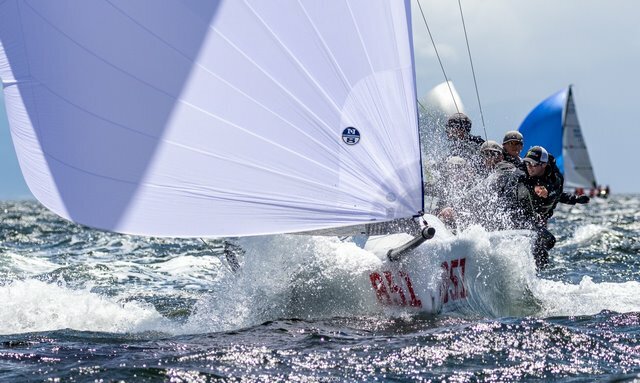 The Italian crew has been able to sail very consistent races, collecting as the only crew three bullets to their series, and discarding the 8th result as their worse one: they closed the series with a total of 30 points and a margin of 6 points over the second classified and will bring the historical perpetual trophy of the Melges Performance Sailboats back to Italy, where it was in hold of the 2017 World Champion, Gian Luca Perego's Maidollis. Runner-up of the Worlds 2018 is American WTF by Alan Field and crew with some awesome achievements sailing together only for two weeks by now - Erik Shampain, Willem Van Waay, Steve Hunt, Lucas Calabrese. Two bullets scored in the series helped WTF claim the second place on the podium collecting 36 points in total. 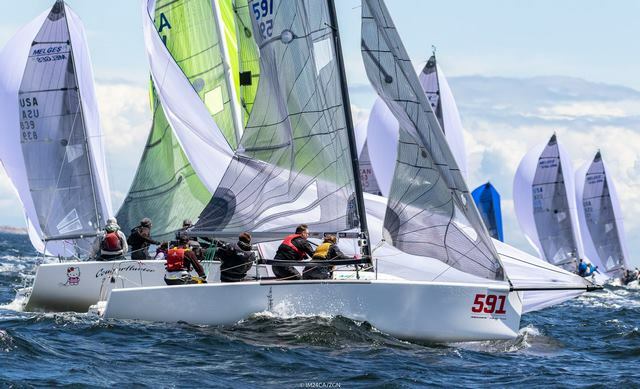 The American crew is followed by 2017 Melges 24 runner-up team, Bruce Ayres' Monsoon, tied in points. Monsoon with Mike Buckley calling the tactics and with Chelsea Simms, George Peet and Jeff Reynolds in crew were holding the leading position in the morning of the final day, but scoring 11 pts from the second race of the day diminished their chances to claim the highest place on the podium. Consistency scoring five times second result during the series was the key to the podium. 2013 World Champion, Full Throttle USA849 is following as fourth with 41 points and Richard Clarke's Mikey USA835 completes the Top 5, two points behind. 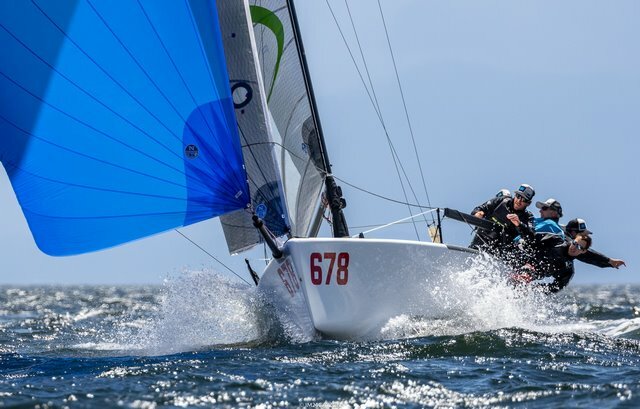 However, the boat of the day was 2017 Worlds Bronze medal team - Kevin Welch/Jason Rhodes' Mikey USA835, scoring third place from the first and two bullets from the two final races of the day ending up with the 7th placement in the overall ranking. Meanwhile in Corinthian division B the local Royal Victoria Yacht Club team of Full Circle CAN415 by Robert Britten with crew of Graham Harney, Jose Grandizo, Liam Welgan-Gunn, Reid Cannon, who yesterday raced to a 1st placed finish, and starting to climb up from the third placement of the division this morning, defeated 24 other entries in Corinthian Division. Despite being black-flagged in Race 3, the bullet and also fifth result from one race of today helped them beat the contestants. They were awarded with the Challenge Henri Samuel Trophy, which was donated to the International Melges 24 Class Association by at that time Chairman of the International Melges 24 Class, Henri Samuel. Until 2006 this trophy was awarded to the winner of the Melges 24 French Nationals. Silver medal finishers were American Matt MacGregor's team and crew of Daryl Fitch, Genevieve Livingston, Kati Belden, Keith Hammer on Good Enough USA806. Having leading this division since the beginning of the game they slipped into the second place after scoring 28th and 26th results from today's races. 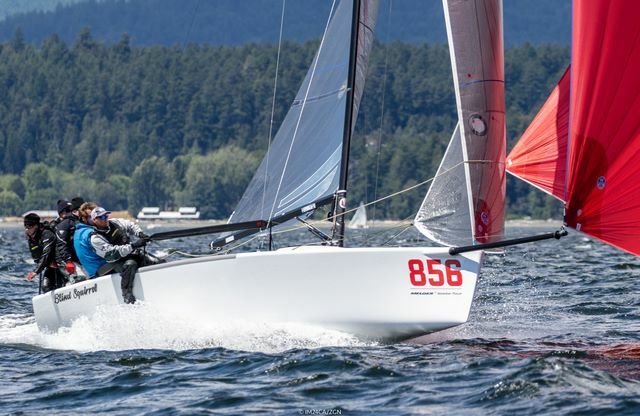 Winning Bronze was another local team of Royal Victoria Yacht Club, Mike Bond's Hold My Beer CAN591 with Gord Shannon, Mike Bassett, Sophie Stukas in the crew. Hold My Beer team managed to jump to the third place of the podium from the penultimate day's fifth position. The Top 5 of the division was completed by the Canadian crews: Ben Mumford/Brad Marchant's ADHD CAN184 as fourth and Malcolm Smith/Gord Galbraith team on Lekker CAN371 as fifth. 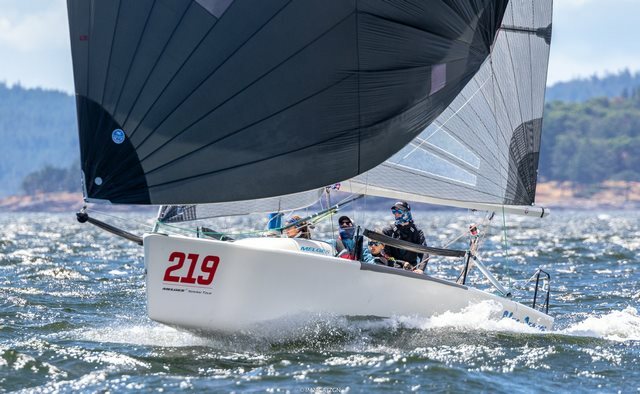 The winner of the Corinthian Division, Robert Britten was also awarded with the Zarco Draganic perpetual trophy, which since 2015 belongs to the owner with the highest ranking, taking part the Melges 24 Worlds for the first time ever. The trophy for the best team with the female skipper was awarded to Laura Grondin, owning and helming Dark Energy USA850, finishing the Worlds with the 22nd result. The prize of the youth team went to American Ryan Conner's Blue Dream USA219 and the crew, who travelled furthest to this championship, was announced to be Kevin Nixon's family team ACCRU AUS812 from Sydney, Australia. Victoria International Marina together with the Royal Victoria Yacht Club awarded a brand new trophy to the team with a best result from the Royal Victoria Yacht Club to the Corinthian Division winner - Robert Britten's Full Circle. Emotional and moody prizegiving ceremony was held in the Victoria International Marina late in the afternoon. Besides honouring the winners, the organizers chaired by Terry Stamper and also the sponsors and supporters of this first ever in Canada held Worlds were acknowledged and thanked for their great efforts and amazing hospitality.